Our binding capabilities include hardcover (case) binding as well as softcover (perfect) binding. Foil stamping of text is included in our base prices for hardcover binding. 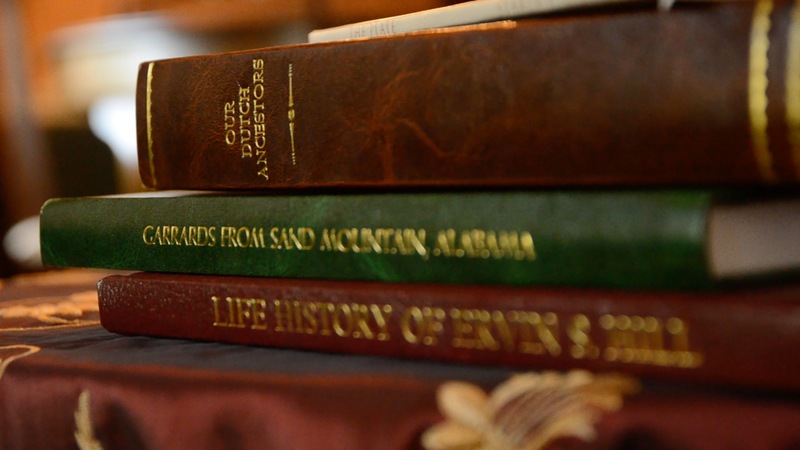 Books are bound using the latest materials to assure durability and quality. Full-color covers are available in either hardcover or soft. Stamping dies for family crests, logos, or any other specialty items are available for hardcover books; the possibilities are endless. Let us know what you want and we will do our best to accommodate your needs.